This San Clemente Cosmetic Dentist is wowing locals with superior patient services, the latest technology and a genuinely caring manner all resulting in local publication recognition. SAN CLEMENTE, Calif. - May 22, 2018 - PRLog -- Local publications serving the Southern California beach cities area and San Clemente in particular, cater to residents in a variety of ways. One important and helpful service provided involves the annual review of local businesses and services to recognize those doing an outstanding job. This proves to be beneficial for all involved. For those who come out on top it's great promotion and for the runner-ups, it proves valuable to see what needs to be done in their individual cases to excel and be rewarded with the type of recognition that boosts awareness and increases business. For those achieving the recognition status in a specific category for a given year, it means that the people have spoken and singled out a business or service that stands out as being a favorite choice for residents. Further, it assists residents at large that a particular business is considered a leader among the competition. A convenience that relies on the concept of "social proof" to point to the exceptional services available to the community. Meaning simply that other locals seeking the service have found an above average provider and the chances are good that subsequent residents seeking the same service will likely also be highly satisfied with the service provided. In the case of Dentistry, the San Clemente practice of Dr. Eric Johnson has received such distinction numerous times in the last few years. "This is quite an honor for me. The fact that Orange Coast Magazine included me in its selection of '2014 Top Dentists In Orange County,' signals that my constant effort to deliver excellent work has paid off. It is gratifying to be recognized in this way." 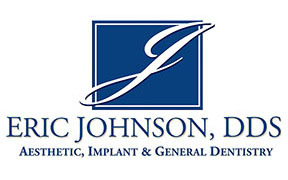 In 2015, Dr. Johnson was again recognized by the "Best Of San Clemente Awards" in the category of Cosmetic Dentists. The San Clemente Award Program is an annual awards program honoring the achievements and accomplishments of local businesses throughout the San Clemente area. Recognition is given to those companies that have shown the ability to use their best practices and implemented programs to generate competitive advantages and long-term value. Winners are determined based on the information gathered both internally by the San Clemente Award Program and data provided by third parties. "This is quite an honor for me. The fact that Orange Coast Magazine included me in its selection of '2014 Top Dentists In Orange County', then again in 2017, signals that my constant effort to deliver excellent work has paid off. It is satisfying to again be recognized by this publication." "In our aesthetically oriented practice, we are committed to the highest quality of dental care for you, our patients, with emphasis on prevention, function and beauty." It all adds up to one thing: when the need arises for a superior cosmetic dentist in the San Clemente area, call the dentist that has everyone talking about exemplary San Clemente Cosmetic Dentist treatment. Call Dr. Eric Johnson. Call today for an appointment to meet Dr. Johnson and the highly skilled dental team that provides 5-star San Clemente Cosmetic Dental Care: (949) 493-3911.